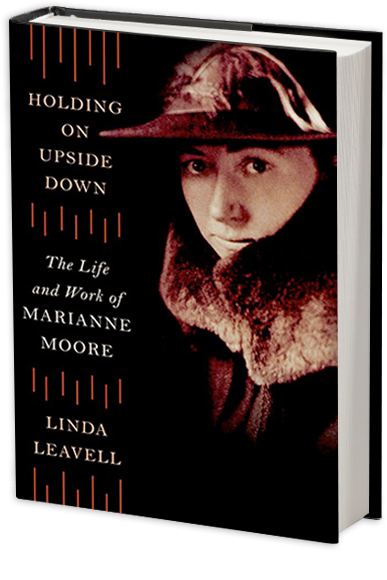 On the first of December 1915, Marianne Moore made her way down Fifth Avenue in search of a now famous address. This was not her first trip to New York, but it was her first venture into the city unescorted. Many visitors at the time were unnerved by the blare of motorcars and the crush of pedestrians, the incessant motion of the city. But while Marianne compared herself half jokingly to Jonah in Nineveh and his “Sojourn in the Whale,” the city thrilled her. She had gained a sense of independence while navigating Philadelphia on her own during college, and the brisk morning air brought back that rush of freedom. Her venture began that morning at the YWCA Training Center, a recently refurbished mansion on East Fifty-second Street. She was staying there as the guest of two sisters, family friends, who hoped that she would find the mission of the YWCA as captivating as they did. For her first two days in New York, she dutifully attended training sessions with them. A snapshot taken before they left home shows the three women standing next to a horse-drawn buggy. Marianne is modeling her new “Airedale coat,” as she called it. Her chin tucked under, she peers at the camera from beneath her most brilliant feature—the thick auburn braid wound many times about her head. Her shirtwaist blouse with a tie at the neck and her ankle-length gored skirt make her look crisply professional like her traveling companions. It was not, however, enthusiasm for the YWCA that brought the aspiring poet from Carlisle, Pennsylvania, to New York. As soon as she could politely break free, she headed straight for 291 Fifth Avenue. Six years earlier she had jotted the address in her notebook when a college acquaintance told her about Alfred Stieglitz and showed her his magazine Camera Work. Although Marianne had read avidly about new directions in the arts during the intervening years and knew all about the controversial Armory Show of 1913, she read little in that time about Stieglitz or his influential gallery. Yet 291, as the gallery was called, had quietly introduced Picasso, Matisse, and other leaders of the Parisian avant-garde to New York well before the Armory Show brought them to the attention of a broader public. The gallery did not advertise or accept commissions. Its purpose rather was to open possibilities for what art might be. Alongside lavish reproductions of photographs and drawings, Camera Work published articles assessing what was “modern” in art. And 291 was as much a gathering place for experimental painters, photographers, and writers as it was an exhibition space. Its regulars used words such as honesty, freedom, enthusiasm, and individuality to describe the spirit of the place. When Marianne arrived at her destination, a Caribbean elevator man who had himself contributed to Camera Worktook her to the fourth floor. She expected to find a photography studio but instead crossed the threshold of American modernism into a modest exhibition room, fifteen feet square. A green burlap curtain covered the bottom half of the walls, and a large copper bowl gathered light in the center of the room. On the gray walls above the curtain hung the brightly colored, cubist-inspired paintings of Oscar Bluemner, an architect. What impressed Marianne that morning even more than the room or the paintings was Alfred Stieglitz himself. Old enough to be her father, he had a commanding white mustache and thick, disheveled hair. He repeatedly adjusted his pince-nez as he talked. “Mr. Stieglitz was exceedingly unemotional and friendly,” Marianne recalled of this first meeting, “and finally after telling me how he was hated, said I might come back and look at some of the things standing with their faces to the wall in a back room.” The exhibition room had no heat; and so, having determined that Miss Moore was the kind of visitor he liked, Stieglitz invited her to the back room, where the stove was. He showed her works by Picasso and Picabia and by several of his American protégés, including John Marin and Marsden Hartley. (A month later he could have shown her the work of a new discovery, Georgia O’Keeffe.) He invited her to return before she left New York in case he had new things to show her and also suggested she stop by the Modern Gallery on her way back to the Training Center. There she saw recent issues of Camera Work and an exhibit of Van Goghs. Little did Marianne imagine that the next winter she would herself become a regular at 291 or that within a decade she would edit an arts magazine much like Camera Work. For now the YWCA seemed a far more likely option for a twenty-eight-year-old woman such as herself. In college she was drawn to writers now associated with modernism—Robert Browning, W. B. Yeats, and especially Henry James—and she demonstrated a prescient distaste for sentimentality. But as of 1909, when she graduated, there was no modern movement in literature with which to identify. Living in Carlisle over the next six years, she read everything she could find about contemporary art, theater, music, and literature. And with nary an acceptance nor a word of encouragement for the first five of those years, she sent her cryptic, hard-edged poems to magazines such as The Century and The Atlantic Monthly. Then in 1912 Ezra Pound, H.D., and Richard Aldington launched a new movement in poetry. Calling themselves Imagists, they rejected florid metaphor and conventional meter in favor of their own elliptical, haiku-like verses. Reading about the Imagists, Marianne learned the names of several experimental magazines and sent her work toThe Masses in New York, Poetry in Chicago, and The Egoist in London even before seeing the magazines themselves. Immediately she began to receive the encouragement she had long sought. In the spring of 1915 her first published poems appeared simultaneously in Poetry and The Egoist. When H.D. recognized Marianne’s name in The Egoist, she wrote to identify herself as a Bryn Mawr classmate, Hilda Doolittle, and as Mrs. Richard Aldington. Marianne’s poems were the finest that she and Aldington, who was poetry editor for The Egoist, had seen from America, H.D. said, and she urged Marianne to come to London. Yet as much as Marianne longed to accept the invitation, she could not consider leaving her mother even for a summer. Just a few months after receiving H.D.’s letter, she received one from Alfred Kreymborg accepting several of her poems for Others, the magazine that he edited out of his Greenwich Village apartment. He called her poems “‘an amazing output and absolutely original’ if with his ‘uneddicated consciousness’ he might judge’” and encouraged her to come to New York. The Others contributors often met, he said, to socialize and talk about poetry. Thus, when Mary Hall Cowdrey and her sister Ruth invited Marianne and her mother to go to New York, Marianne leaped at the chance. The Moores could not at the time afford clothes for both to go, and so the mother refused the invitation for herself but splurged on a new coat for her daughter. Kreymborg was such a 291 devotee that he wanted to create a gathering of poets and artists along with his magazine. The previous summer he had launched Others at an artists’ colony near Grantwood, New Jersey, where the contributors often congregated for Sunday-afternoon picnics. With the onset of winter he moved to 29 Bank Street, where he both published Others and continued to host parties. Was there, Marianne inquired, to be such a party while she was there? He was not sure, since both he and his wife had been sick. But he invited her home to supper if she would be willing to accompany him on an errand on the way. In her long account of the evening afterward, Marianne clearly wished to persuade her family of her new friends’ respectability. She noted that Kreymborg wore a suit much like one of her brother’s and emphasized the Kreymborgs’ “silver spoons like ours” and bookshelves “full of the things we have, the Brownings in lambskin and Tennyson and Shelley.” But her wall-by-wall description of the Kreymborgs’ apartment indicates that she was also beginning to envision an artist’s life for herself. It was possible, she saw, to live among artists and writers without adopting a bohemian lifestyle. Shortly after her trip, she wrote “Is Your Town Nineveh?,” in which she contrasts Jonah’s desolation in the corrupt city of Nineveh with her own sense of freedom in New York. It was the first of many poems she wrote over the course of her career about freedom, both personal and political. After the YWCA training sessions were over and the Cowdrey sisters returned to Carlisle, Marianne remained in New York for several days. She stayed in the Village with two friends who ran Varick House, a Presbyterian boardinghouse for working girls. Both Margaret and Laura were “in ecstasies,” Marianne said, when she brought Kreymborg to Varick House to dine with them, and Margaret thought it was “the mark of the elect” when Kreymborg, to her surprise, addressed Marianne by her first name. Laura was a published poet herself and the older sister of the poets William Rose Benét and Stephen Vincent Benét. Marianne had known Laura and William, who were slightly older than herself, since childhood. Though she had seen little of William in recent years, he had achieved enviable success as a poet. By the time Marianne visited New York, he had published two volumes of poetry and had appeared so often in The Century that the magazine hired him as an editor. Laura, too, regularly appeared in magazines that rejected Marianne’s work. Even seventeen-year-old Stephen Vincent Benét had published a collection of poems. It was hard on Marianne that The Masses, known for its revolutionary politics, accepted poems by William and Laura but rejected her own. She had already determined by the time she went to New York that she and William “had diverged and diverged until we had nothing in common aesthetically.” Benét’s poetry epitomized the conventional verse forms and complacencies against which Others poets defined themselves. A few days after Marianne moved her things to Varick House, she and Laura called on William Rose Benét at The Century. Having recently seen the Kreymborgs’ kitchen, where Others was published, and the back room of 291, where Camera Work was published, she noted the “light, airy, club-like” atmosphere of the Century reception room, where she and Laura waited for William to see them. Despite initial apprehensions on both sides, Marianne and William soon recovered their old friendliness, and it pleased Marianne that he showed as much interest as he did inOthers and the new poetry. The notices by Kerfoot and Braithwaite, she decided, had made the conservatives nervous. The conservatives had little to worry about. They would prevail in the popular anthologies and magazines until after World War II. Despite modernism’s growing momentum over the next two decades, none of the modernists who now dominate anthologies—Eliot, Pound, Stevens, Williams, H.D., and Moore—would, for instance, win the Pulitzer Prize in poetry until Moore won it for her Collected Poems in 1952. Yet Stephen Vincent Benét had won it twice by then, and William Rose Benét won it as late as 1942. The Pulitzer and other accolades heaped upon Moore’sCollected Poems in the early 1950s not only launched a new career for her as a celebrity but also ushered in the reading public’s acceptance of modernist poetry. During the course of her ten days in New York, Marianne did return to 291. Although Stieglitz had no new art to show her, he introduced her to J. B. Kerfoot, with whom Marianne held her own discussing the current state of literary criticism. She also twice visited the Daniel Gallery, which was run by the Others poet Alanson Hartpence. Hartpence was “a positive dogmatist on art theory,” according to Marianne, and played an important role in educating poets about modern painting. She stood her ground there, too, in assessing the current exhibit of paintings and tapestries by William and Marguerite Zorach. The Zorachs contributed poems to Others and later designed covers for it. They may have come to the party Kreymborg hosted in Marianne’s honor, where she met several of the poets and artists who would soon form her social nexus. What Marianne learned and saw in New York so impressed her that her work matured rapidly after she returned home. By the fall, when she was exploring New York galleries again and socializing with the Others group, she had developed her unique rhymed stanza, one of modern literature’s most original innovations. Marianne did not, as might be supposed from the boldness of her poetry and her conversation, return from New York and insist upon moving there. Just after Christmas her family did discuss leaving Carlisle, but there is no indication that Marianne’s literary aspirations were a factor in their discussion. When an acquaintance asked if she were considering a move to New York, she replied that nothing could be further from her thoughts. Her foremost concern at the time was to persuade her elder brother, Warner, to live with her mother and herself. He had not lived at home since he left for college eleven years earlier. Yet both children knew that their mother’s deepest desire was to live out her days under the same roof with her son and daughter. Mary Warner Moore, then fifty-three, became convinced that she did not have long to live. (She would live to be eighty-five.) Marianne so feared for her mother’s life that she persuaded Warner to make Mary’s dream a reality. The following spring he accepted a pastorate in Chatham, New Jersey, and in August the three moved into the manse together. One happy circumstance of this otherwise miserable experiment was Chatham’s proximity to New York. An hour’s train ride brought Marianne to the heart of the city.